A new coat of paint or new wall treatments are easy ways to refresh your home. We know what makes a great paint job. And it’s our mission to deliver the level of detail and professionalism that you expect and deserve. Complete interior and exterior painting Painting accents, base boards and trim. We can stain decks and walkways to protect them from the wear and tear of the weather. Painting doors by hand takes a lot of time. We have tools and skills to apply a quality paint job. A sales manager with a member of our experienced painting team will stop by your building, discuss in detail your painting project and build a free estimate. Once we get your approval we will plan a day and time that works best for you to start painting. 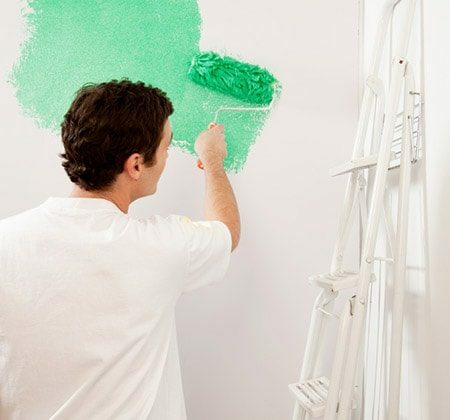 Upon arriving at your facility our painting staff will start with the proper painting preparations and continue to move towards starting with painting while at the same time follow any project notes and customer requests. Upon completing your painting project we will go through all the work we’ve done, perform inspections and make sure that every customer expectation has been reached and exceeded.